I always have Tuffy Fill n Freeze pouches in my pantry. They are extremely useful, not only for the stocks that I make, but also for the left over sauces from curries and casseroles. They come in packs of 8 and hold up to 1 litre each and they are made from durable plastic with a strong zip seal, which means they won’t spill or tear. To top it all, they come with a measurement on the side, are self-standing and won’t fall over. You can pour liquid from the built in spout with ease. That makes these nifty pouches the most innovative storage, freezer and cooking bag an all in one solution. Because I use tuffy products at home, I am doing a give away on my blog. You could stand in line a chance to win one of 4 hampers to the value of R250 each. The hamper will include Fill n Freeze pouches, Zipper Bags, Refuse bags, recycling bags, clingwrap, foil, scented bin liners, pegs and more. Just catching up on posts I’ve missed, hope I’m not too late to enter this? 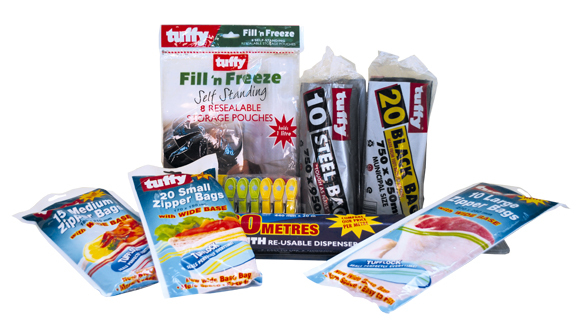 As well as soups and leftovers I would also use the Tuffy bags for beef and pork mince which I mince myself. Oh, Tandy! I hate it when the give aways are only for US residents or SA residents … But I understand the why. So, it’s ok. I have so many baby tomatoes and herbs growing in my garden at the moment. I will make tomato sauce and freeze it for the winter! That is my favourite thing to freeze! Rice – always have left overs!! Sauces – make double and store. Any left overs. Lemon juice when you have fresh lemons. Lemon rind. Parsley freezes well. I like the idea of freezing rice! Definitely a big pot of sweet potato and roasted red pepper bisque I’m making for a cleanse I’m doing! it would suit your kitchen well! I would store soups (all kinds). Perfect light ad healthy meal when you are to lazy to cook. perfect for the nights you don’t feel like cooking! smoothies are a great idea! Love, love these products. Use them for left over portion of casseroles and soups made in my slow cooker. Portion out cooked spaghetti and pasta and all these fit easily into my freezer. With only two of us in our household it makes more sense to make full meals and portion freeze for use later. 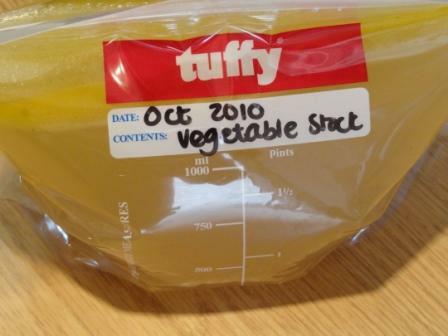 I use Tuffy bags for freezing soups. that ice cream sounds like a winner!